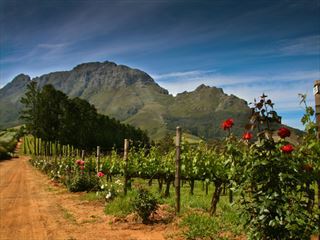 Travelling from Cape Town to Stellenbosch and the rugged safari wilderness of the Shamwari Game Reserve, this 11-day adventure is an exciting glimpse into some of South Africa's most popular destinations. Explore the awe-inspiring scenery, delve into the culture and history, and seek out amazing wildlife over the course of your trip for an unforgettable experience (TM). 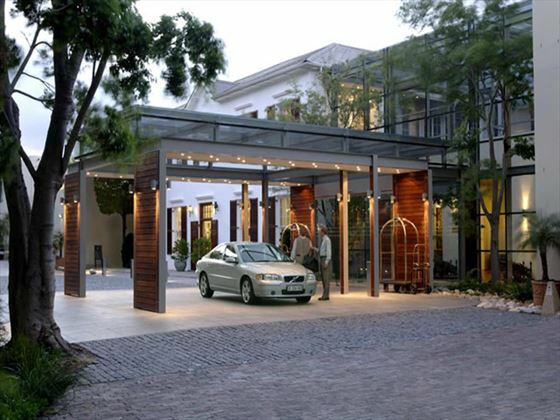 Arrive into Cape Town where you will pick up your hire car and drive to the Vineyard Hotel which will serve as your base for the next four nights. 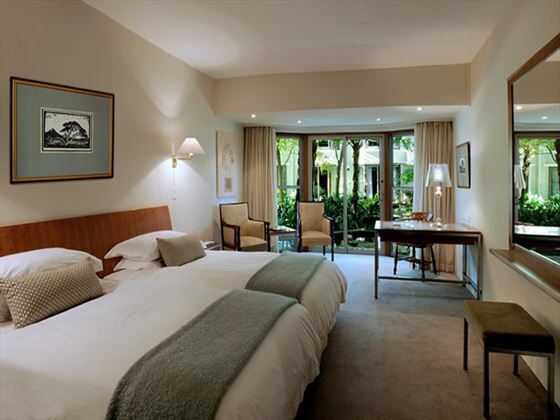 Surrounded by six acres of manicured parkland, the Vineyard Hotel is sophisticated and elegant property which looks out onto Table Mountain. 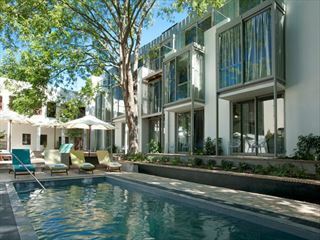 With stylish and luxurious accommodation and four dining options, it also offers easy access to the many attractions of Cape Town. 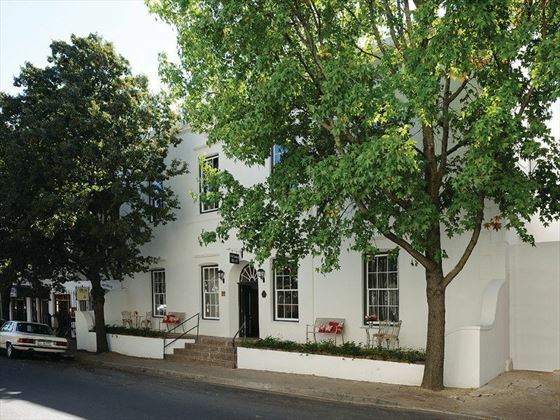 Spend time exploring the sights in Cape Town over the next few days, including Table Mountain, Camps Bay, beautiful Art Deco buildings and bustling streets filled with restaurants, bars and shops. 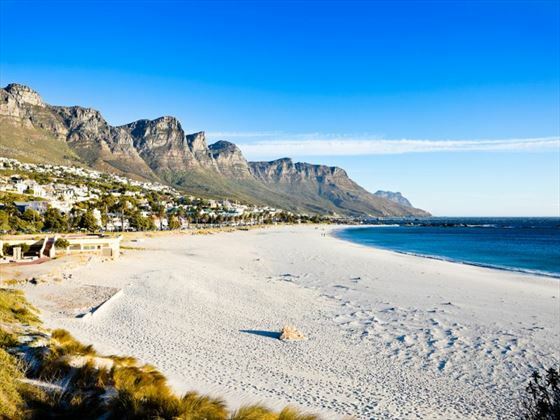 Head to the Kirstenbosch Botanical Gardens or explore the beaches for a dip in the waters or a chance to soak up the sunshine. 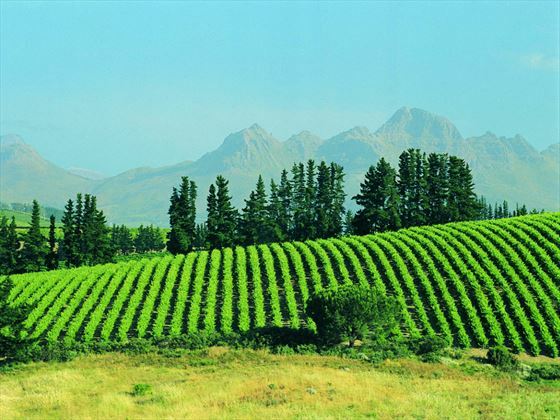 Leave Cape Town today and drive to beautiful town of Stellenbosch, the second oldest in South Africa. 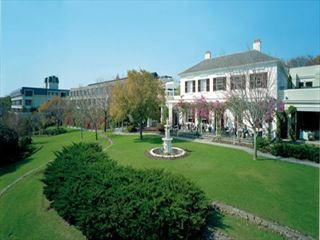 Renowned as a great wine producer, this area also has great nightlife, beautiful architecture and diverse culture. 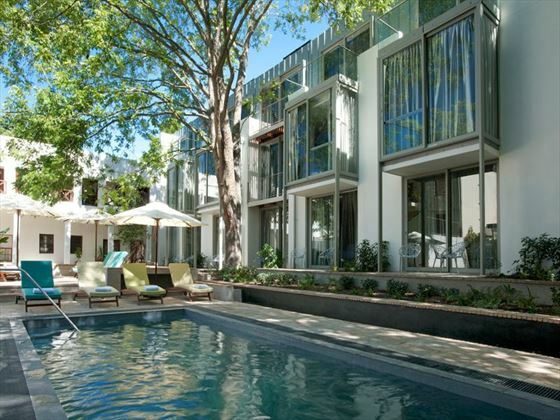 Oude Werf is located in the cultural hub of Stellenbosch and is enveloped by peaceful gardens. Elegant in style, this hotel is immersed in history and is within walking distance of the many museums and Dutch-inspired colonial architecture of the area. Drop off your hire car and fly from Cape Town to Port Elizabeth. 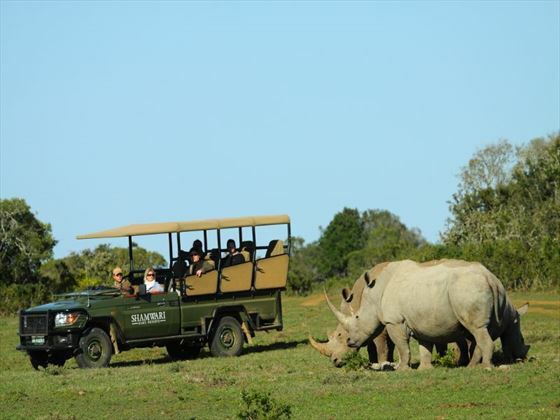 On arrival you will be transferred to Shamwari Game Reserve, a secluded and authentic region that offers some amazing wildlife-viewing opportunities. With a selection of Safari Lodges offering luxury accommodation, the Shamwari Game Reserve is a wonderful experience. 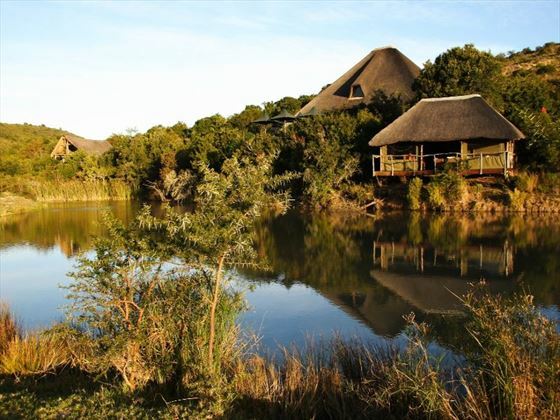 Twice daily game drives and all meals are included so you can really make the most of your time here as you seek out the elusive Big Five. 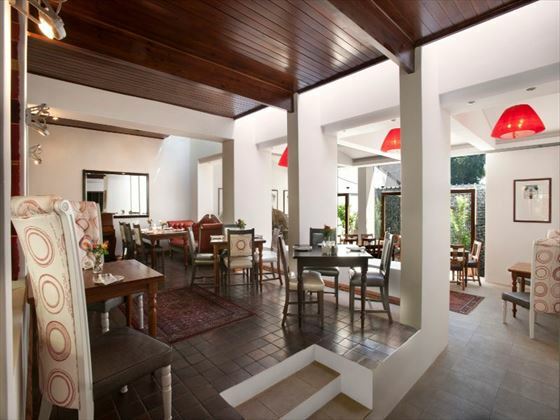 Today marks the end of your trip – you will be transferred back to Port Elizabeth for your flight back home. Prices correct as at 6pm on 19 Apr 2019. Please call for final price. Prices are per person based on 2 adults sharing a room. Other durations available - call for quote. Monday departures . Different hotels of a similar standard may be used on certain departures. Supplements may apply on dates within certain dates during peak travel periods. 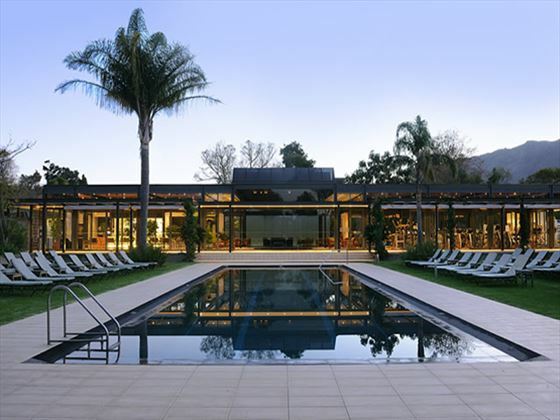 Set amongst six acres of landscaped parkland, Vineyard Hotel & Spa is an elegant property with spectacular views of Table Mountain. 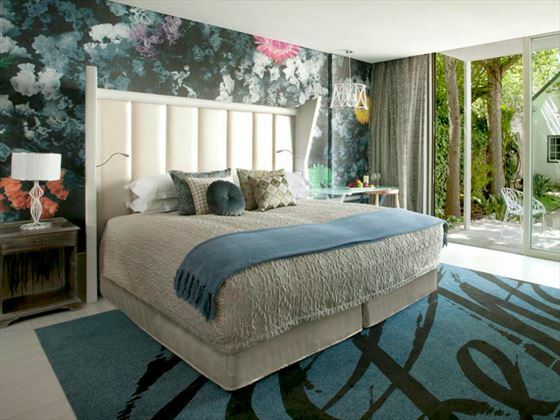 We love how chic this hotel is, with a refreshing spa and charming vineyard surroundings. 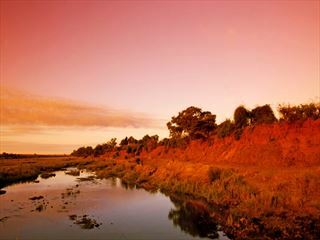 Make use of the walking or jogging routes while you’re here – they offer a great way to take in the beautiful views. 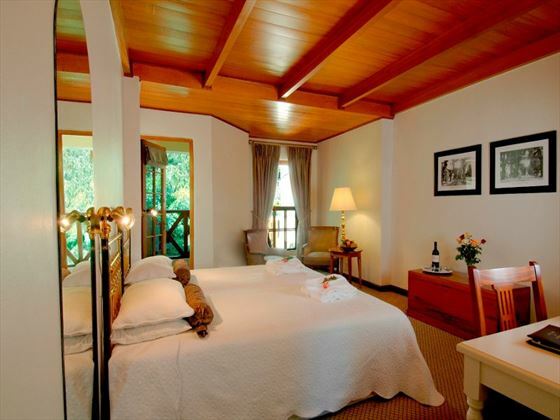 The rooms are comfortable and stylish, with spacious en-suite facilities. 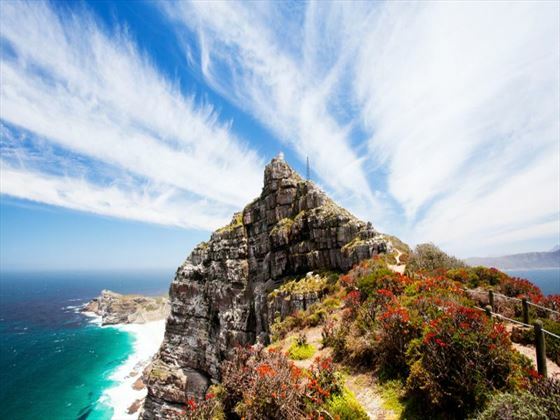 There are tours and excursions available to book if you want to see some of Cape Town’s famous sights, as well as a great location for simply relaxing and enjoying the serene ambience. With four dining outlets, there’s plenty of choice to whet your appetite. 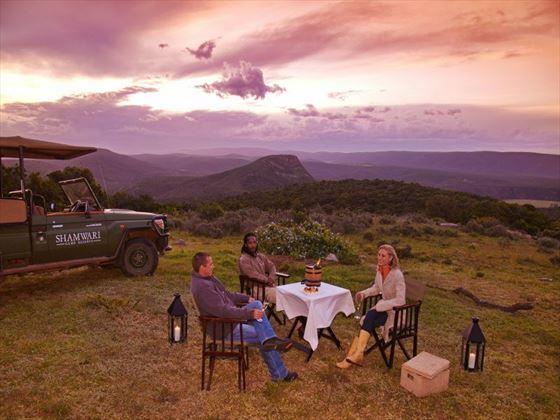 Set amongst 25,000 hectares of stunning African landscape, the Shamwari Private Game Reserve is brimming with captivating wildlife and sensational vistas. 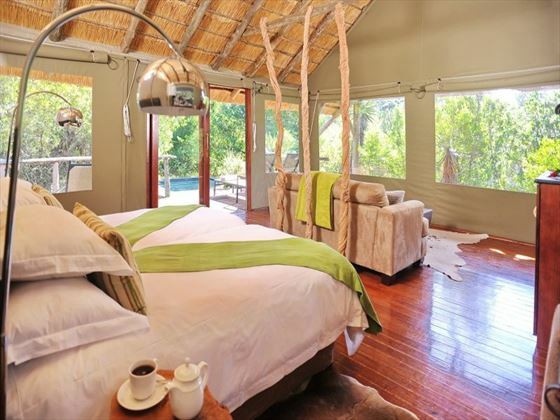 This is a really memorable experience, from unbelievable levels of luxury and style in the lodges to the wonderful array of native fauna surrounding this reserve. We think you’ll really love the lodges, each with its own unique charm and style. The spa treatments up the ante on the luxury factor, serving as a great way to wind down after an exhilarating game drive or nature walk. There’s a varied and fun-filled kids activity programme for younger guests, as well as a host of fascinating activities that really make the most of the surroundings, from bird watching to animal sanctuaries. Top tip: While Riverdene is a better option for families, Eagle Crag is a secluded and sophisticated lodge that’s ideal for couples. 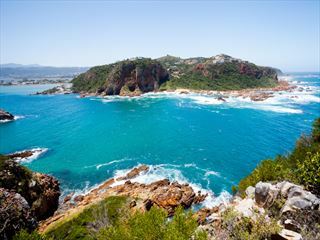 To combine Shamwari with a stay in Cape Town, the Garden Route or even the Kruger National Park, please call our African specialists who will be happy to put together a tailor-made South African holiday for you.